This article is part of our special report Europe’s mayors: Speeding up the energy transition. Europe’s cities are on the frontline of climate action and the drive to meet the goals of the Paris Agreement. At the 10th anniversary celebrations of the EU’s Covenant of Mayors, some of its 9,000+ members revealed what is being done to fight climate change. The late American political scientist Benjamin Barber wrote in his book If Mayors Ruled the World that cities, and the mayors who run them, are the best agents to tackle challenges like climate change and poverty, due to the dysfunctional nature of nation states. While the message of the Covenant of Mayors 10th anniversary on Thursday (22 February) was not quite as revolutionary as Barber’s way of thinking, city and EU leaders all agreed that Europe’s metropolises have a crucial role to play in facing up to today’s main issues. The importance of the Covenant was highlighted by the speakers and panellists who attended the event in the European Parliament, with EU Commissioners Carlos Moedas, Miguel Arias Cañete and Maroš Šefčovič, Parliament boss Antonio Tajani and DG Energy’s Dominique Ristori among the attendees. Speeding up Europe’s energy transition was the main theme of the 2018 get-together and the EU’s main energy and climate leaders all agreed that local level action will be essential in meeting environmental targets. Climate boss Cañete praised the cities that have so far signed up to the Covenant’s 2030 objectives and the “impressive” efforts that have been made so far, adding that mayors can influence member state governments, which are in the process of drafting national plans that will be used in setting targets for the next decade. 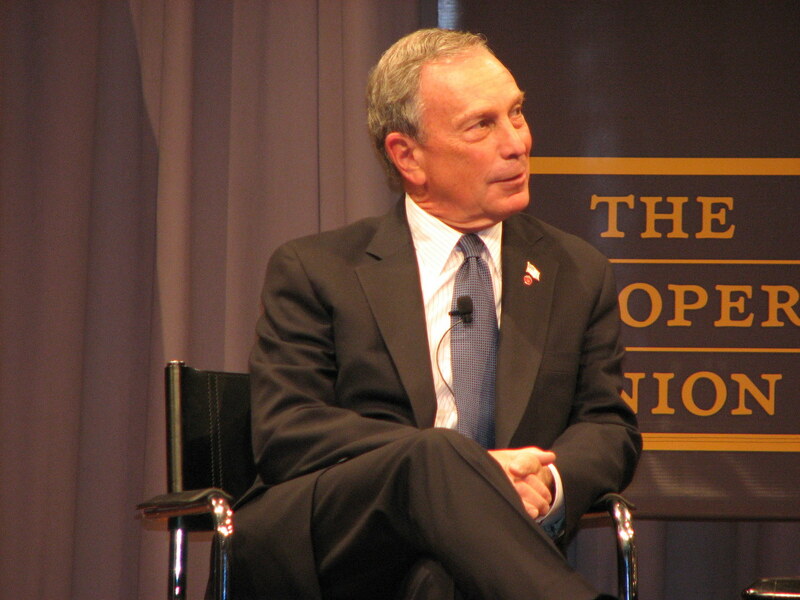 He also urged the Covenant of Mayors to support their American counterparts, who are currently leading the United States’ environmental drive after President Donald Trump announced the US would leave the Paris agreement, and passed a number of backwards-looking laws. The Covenant can boast of a number of achievements in its decade of activity, including a 23% reduction in emissions, a 90% increase in local energy production and a five-fold increase in renewable energy generation. French entrepreneur and activist Bertrand Piccard, who last year piloted a solar-powered aircraft around the world, described how his flight made him realise that “the rest of the world is living in the past, prisoners to the old ways of doing things, some of which are over 100 years old”. Piccard insisted that there are already hundreds if not thousands of existing pieces of technology that could cut emissions and energy demand in half but which have not yet been brought onto the market. 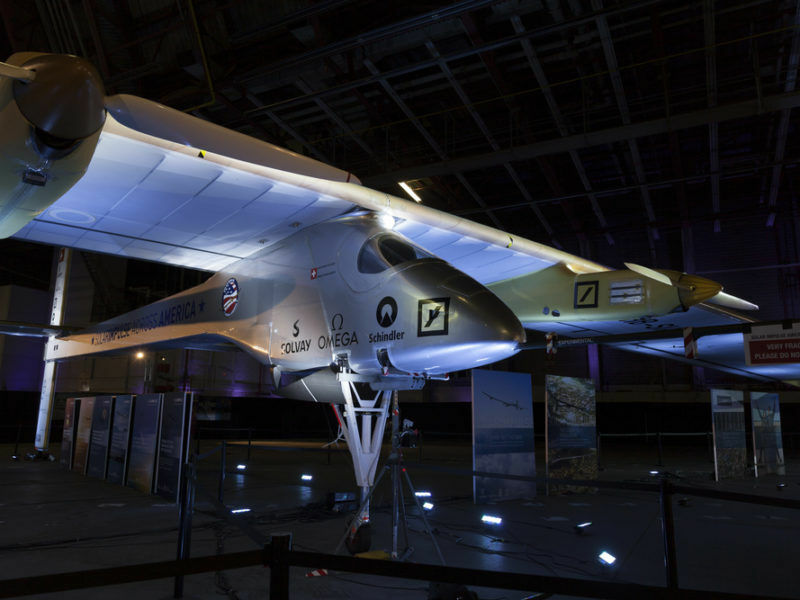 The EU will partner with the team that made the first solar-powered flight around the world, in order to promote energy efficiency. EURACTIV Spain reports. To that end, he announced the launch of the ‘1000 solutions’ initiative, which aims to bring those technologies and patents into the public eye. Piccard called on the numerous mayors at the ceremony to take an interest in the scheme, citing the enormous potential for jobs and growth. “Growth and jobs and profit motivate even climate deniers and those who have no care for looking after the environment,” Piccard, the first person to complete a non-stop balloon flight around the world, told the Parliament’s packed hemicycle. 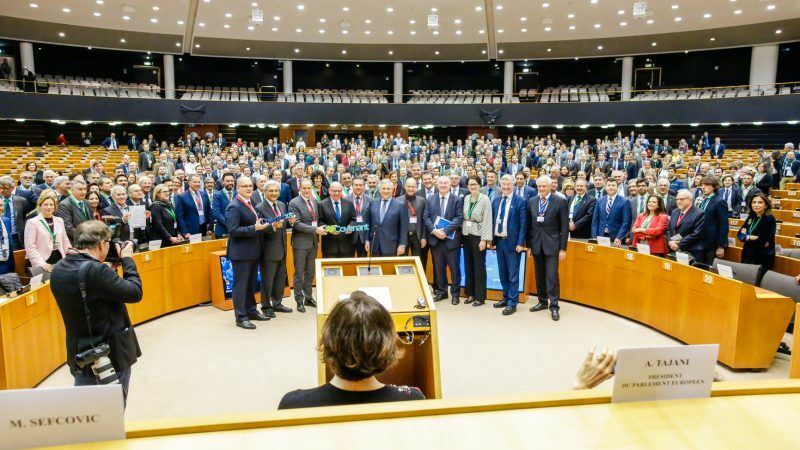 Some of the thousands of mayors who are members of the Covenant revealed during the ceremony what measures they have implemented to work towards Europe’s environmental targets, including emissions reduction and energy efficiency improvements. Mayor of Florence Dario Nardella explained how his city is tackling air pollution by increasing electro-mobility and using car and bike sharing schemes. 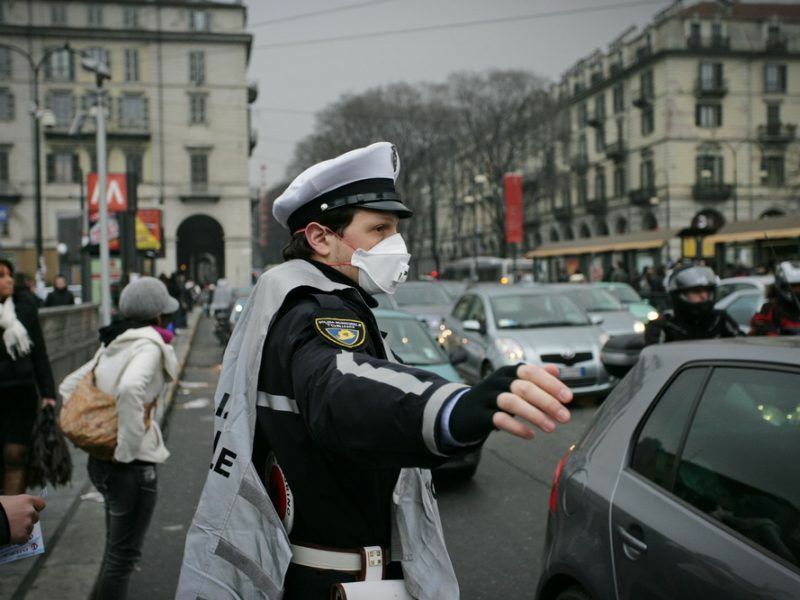 Italy has some of the worst air quality in Europe and the European Commission is currently deciding whether or not to launch a legal case. Jukka Mäkelä, the mayor of the Finnish city of Espoo, recounted how his city has been named the most sustainable city in Europe, “maybe in the world”, and how his administration hopes to achieve a plan for Espoo to go completely carbon neutral by 2030. Aside from the jobs, growth and health issues at stake through climate action, a number of speakers also pointed out that meeting the Covenant’s 2030 goals should be a self-preservation instinct for Europe’s cities. 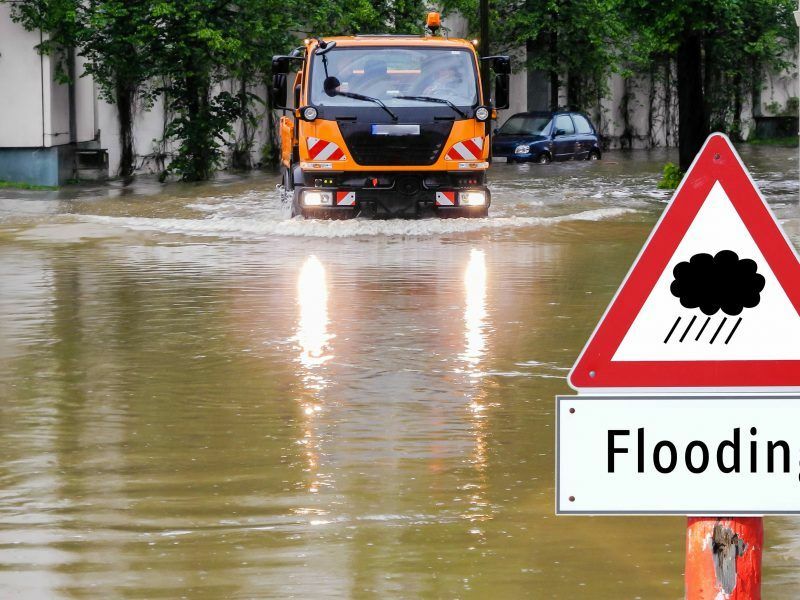 Mayor of Savona Ilaria Caprioglio explained that her city is located in a fragile area that is “susceptible to extreme weather events like floods and landslides” in Italy’s northwest. The United Nations’ Ovais Sarmad, one of the organisation’s top people on climate change, warned that “2017 was a climate disaster” and that “weather does not discriminate”. On the same day, the Commission announced more than €100 million in support for France, Greece, Portugal and Spain, which were all hit by natural disasters last year. A study conducted by the UK’s Newcastle University recently concluded that European cities could be “pushed to breaking point” by climate change, after analysing data from across the continent. Researchers found that Dublin, Helsinki, Riga, Vilnius and Zagreb could be worst affected. Major British towns and cities, including Glasgow, Wrexham, Aberdeen and Chester, could be much more severely affected by climate change than previously thought, according to new research. EURACTIV’s media partner The Guardian reports.